about those latter items first. as possible in the day for just that reason. The Berlin & Coos County Historical Society in New Hampshire is looking for Maine descendants of Berlin's first permanent residents. Descendants of William and Susanna (Blodgett) Sessions will be invited to the dedication of an historical marker at their home site in Berlin May 29. 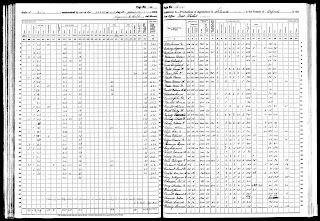 Having already added the 1920 census and 1930 census, Internet Archive has now added images of the 1910 U.S. Federal Census for Maine. Cambridge River in Upton, Oxford, Maine, probably close-by each other. Before I move onto the 1880 Schedules for Hiram West, I'd like to complete my look at the state of three of the West brothers' farms by discussing that of the oldest, Asa Atwood West. As I mentioned at the conclusion of my post about Hiram West's farm on the 1870 Census Agricultural Schedule, even though Hiram had a smaller farm than his brother Jonathan Phelps West, his farm's value was only $50 less and he could afford to have a hired hand. The reason he could was that he had another source of income, two mills. it will put me in contact with some of my unknown distant cousins. So many of our Maine ancestors came from across the border, and many appear in one or more of the censuses taken in Canada from 1831 to 1911. 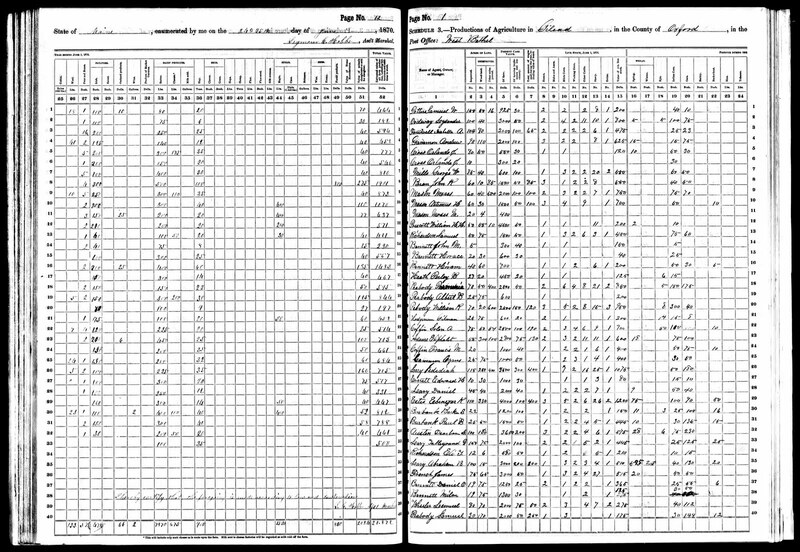 Ancestry.com has indexed images from all of these censuses in its Canadian Census Collection, but there are also some free alternatives online.